Life moves forward. An estate forged by progress and innovation, Evo City is an innovative and prime Central Business District soon to rise just South of the Metro. A product of Ayala Land’s unwavering commitment to deliver meaningful real estate concepts will bring about a convergence of ideas and contemporary features to this new estate, creating a first-of-its-kind Central Business District in Kawit, Cavite. Advantageous Location, Superior Accessibility Located in Kawit, Cavite just 5 km away from the Manila-Cavite Expressway (CAVITEX), Evo City offers the advantage of having efficient access to key Metro Manila cities and other urban areas. Through existing and forthcoming transport infrastructure developments, Evo City is considered well-positioned and strategically located to become a significant growth center in the region. Inside Evo City Spanning over 200 hectares, this Central Business District (CBD) features a balanced mix of high- to mid-rise commercial and institutional developments, as well as low-rise residential options. Forward-thinking, cosmopolitan, and efficient in its design, Evo City offers a modern lifestyle suitable for individuals from all walks of life, from students to young and seasoned professionals to couples and families with a medley of options for living, working, studying, unwinding, and more to discover. The Design Concept A mixed-use estate, Evo City allows you to live, work, and play in an environment that is inspiring, complete and accessible to city comforts, conveniences, and living essentials. As a CBD of its kind, Evo City will feature commercial lots for investors and businessmen alike, giving them the opportunity to maximize their profits in a favorable, strategic location with a wide range of offerings. With the advantage of the estate’s proximity to various establishments, economic zones and estates of the following locations such as Metro Manila, Makati, Taguig, Pasay, Parañaque, Las Piñas, Muntinlupa, Cavite and more—Evo City gives you full access to existing and established markets. 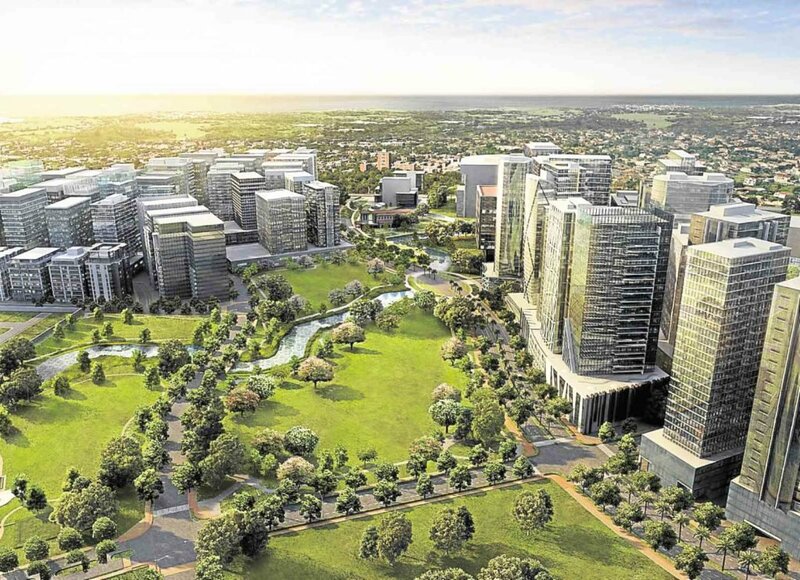 Similar to other Ayala Land developments, Evo City will feature institutions such as church, hospital and school—giving its citizens access to fundamental needs. In addition to featuring business essentials, in Evo City you get to enjoy a wide array of lifestyle destinations with the estate’s retail options, hotels, and establishments for leisure and entertainment. District Features With 19 hectares of sprawling parks and open spaces (plazas, parks, and parkettes) found throughout the 200-hectare development, Evo City offers its citizens a more pleasant pedestrian experience by seamlessly connecting its various areas with fresh, green open spaces.